NB: Gallery will be closed Fri 30th March – Thurs 5th April for Easter. 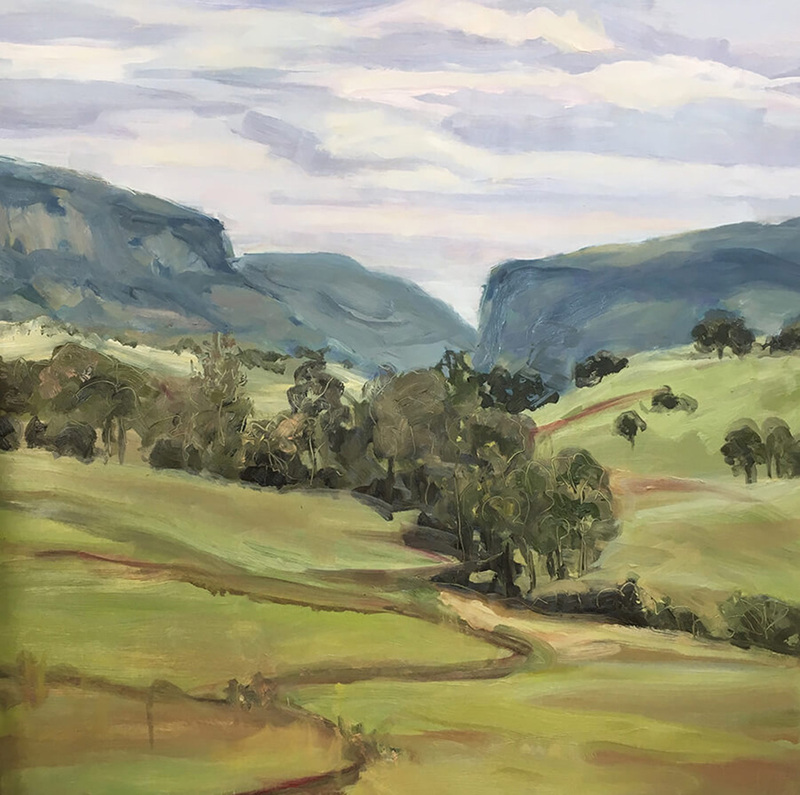 LEISL MOTT is a Brisbane based artist, who has always been captivated by landscape and the natural world, perhaps in part because she grew up on the land. Leisl’s paintings are gestural and instinctive, featuring big, fluid brushstrokes in oil, and sometimes rapid sgraffito. 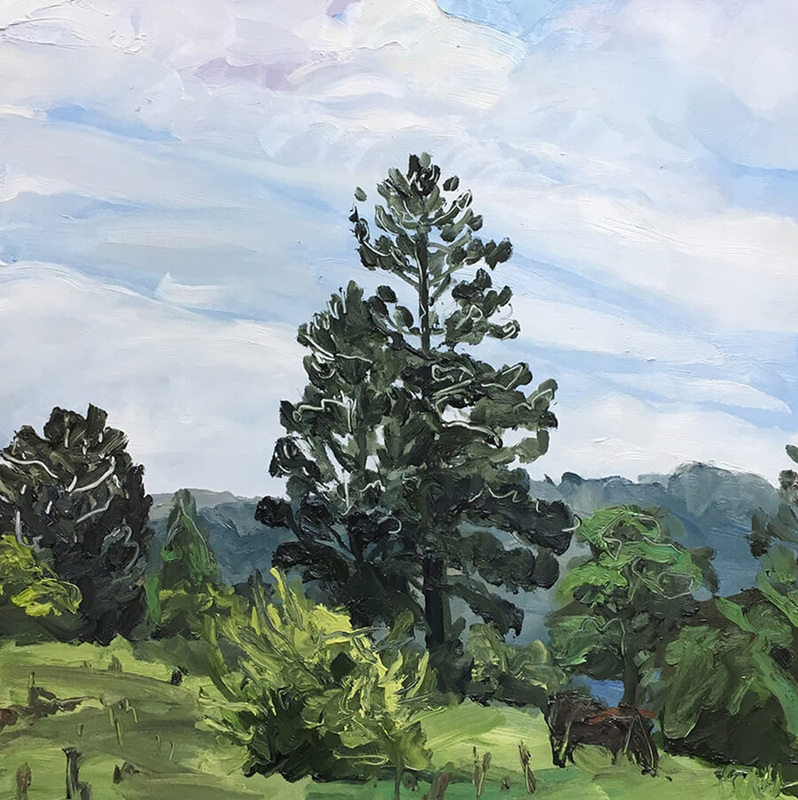 They depict thriving verdant scenes of bucolic abundance, vividly expressing the sense of sanctuary that she finds in these locations. 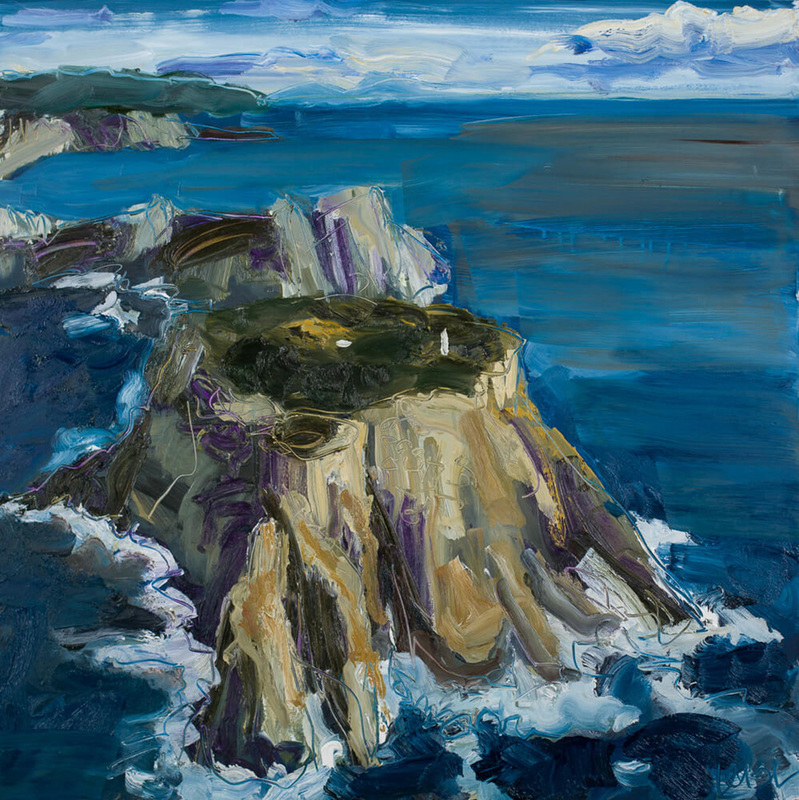 “Overwhelmingly, I’m struck by the beauty, magnificence and benevolence of this world we live in – a mundane cow paddock, a spectacular escarpment or a cliff sheered away at the edge of a frothing ocean – all remind me, in their own ways, of how individually ephemeral, yet collectively eternal all this really is… a permanently impermanent procession of lives that flourish, wither and pass, perfectly imperfect, back into Emily Dickinson’s ‘quiet dust’, from where life springs again. Nowhere does this sentiment speaker louder to me than in country that shows signs of human toil; a stand of old Trees that tell tales of a home that once was, or an old fence line now failing to maintain boundaries that used to matter. HANA VASAK is a Melbourne based ceramicist. This new series of work is informed by both the body and by landscape, with each piece attempting to capture a sense of movement. 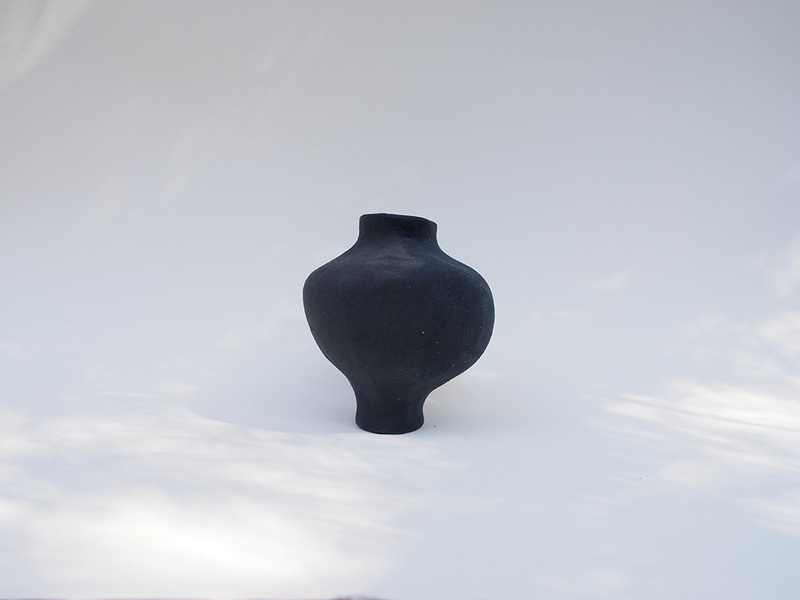 The sculptural nature of these vessels imbues soft and figurative features – organic in form, with embellished curving shapes. In this new series of work informed by both the body and by landscape, each piece attempts to capture a sense of movement. 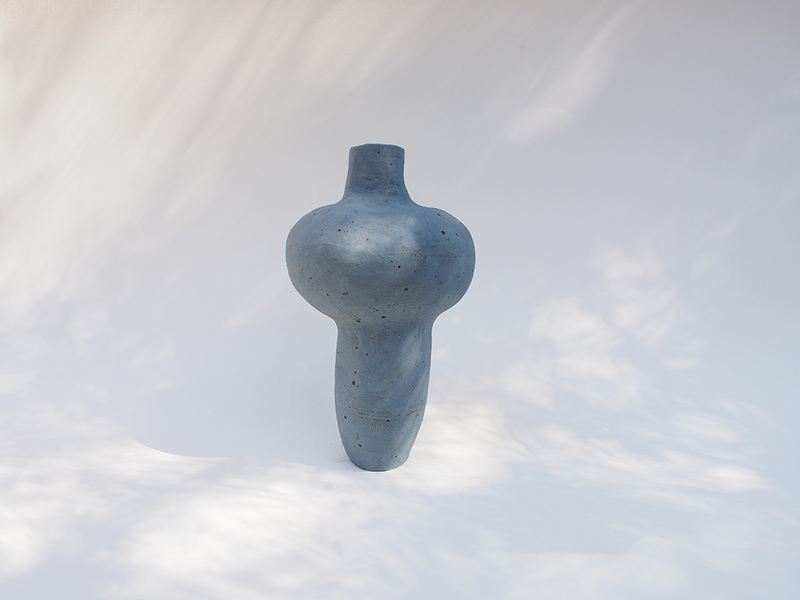 The sculptural nature of these vessels imbues soft and figurative features – organic in form, with embellished curving shapes. Painterly strokes and marks are made visible, creating textures that expose blemishes in the clay, whilst others appear more translucent, all reminiscent of qualities that appear in the vibrancy of nature seen on rocks, trees and bark. Each vessel is made with expressive contours that allow light to fall on the subdued colour palette creating subtle tonal changes. 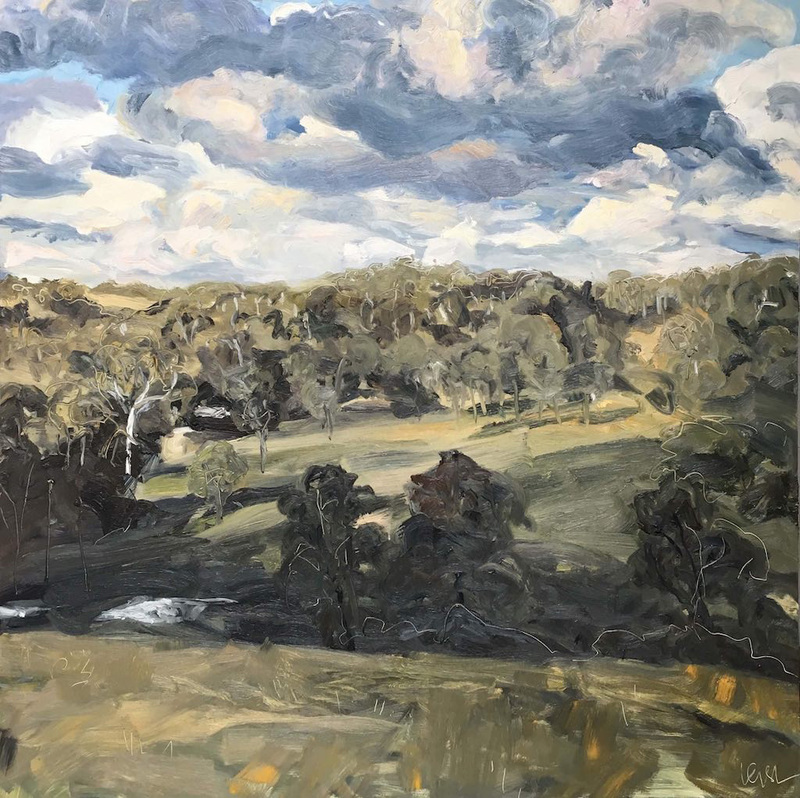 Light accentuates the feel of movement and draws upon a painterly landscape where individual and unified forms come together.